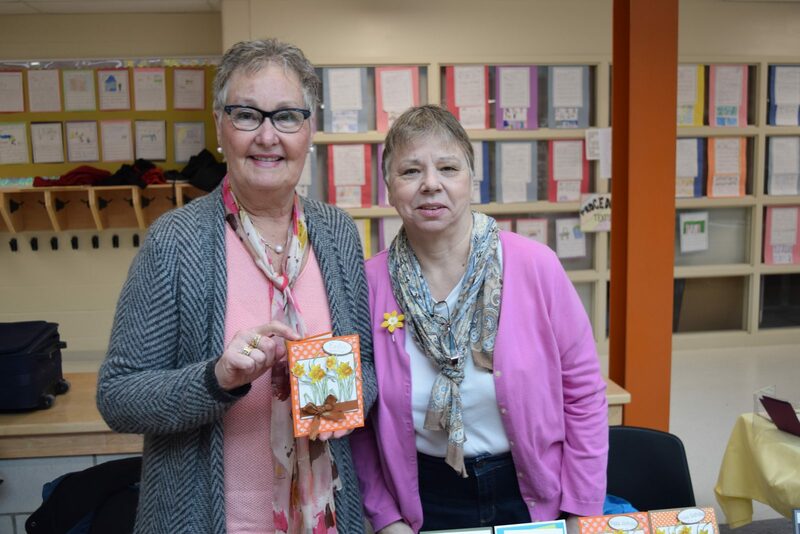 Bernice Patterson and Susan Huntington were selling handmade cards at the Bridgewood Craft Show on Saturday, April 6, 2019 (Nick Seebruch/ TC Media). 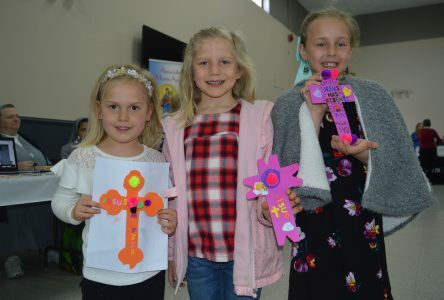 CORNWALL, Ontario – The Bridgewood Public School Parents and Teachers Association (PTA) held a craft show on Saturday, April 6 to help support the school’s breakfast program. Debbie Duval, the organizer of the event said in the winter the PTA found out that the school’s breakfast program was starting to run short on funds, so they contributed some money at that time after holding a hot chocolate fundraiser. The program has also received support from some private donors. The Bridgewood Breakfast Program costs about $2,000 a month to run and Duval was hoping to raise around $4,000 through Saturday’s craft show. There were about 56 vendors at the event from as far away as the Laurentians in Quebec. 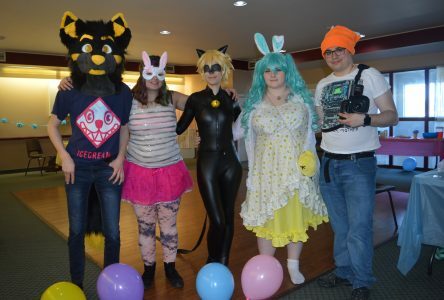 In addition to the vendors, there was also sparkle tattoos, a silent auction and reverse raffle. All of the items for sale at the craft show were handmade. Duval explained that keeping the Breakfast Program running was important for the education of the students. “Everyone is talking about how education is failing our kids, but if they’re sitting there with their tummies grumbling they’re not going to be able to learn,” she said.